Hey girls! 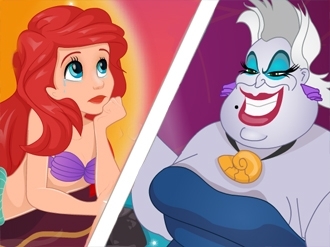 Do you know the very cute princess Ariel? She is the little mermaid princess and today she is very sad. She wants to look normal like the other girls and she needs your help. Start the game called Ariel's Legs Surgery and help her with the great procedure. First, mix a few ingredients in a bowl to create a very special potion.